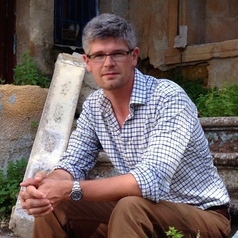 Dr Alasdair Pinkerton is a political geographer with particular interests in issues related to critical geopolitics, the media, and the 'international relations' of public diplomacy. He has regional specialisms in the South Atlantic (Falkland Islands, Argentina and Chile), South Asia, and anywhere associated witht he concept of "no-man's land". In 2013, Dr Pinkerton served as an accredited observer of the Falkland Islands referendum. His first book, "Radio", will be published by Reaktion (and the Science Museum) in 2016. He appears frequently in the UK and international media on issues related to global geopoltiics, including the Falkland Islands, Gibraltar and the UK's Overseas Territories.